Have had this yarn for years, and didn't quite know what to do with it. 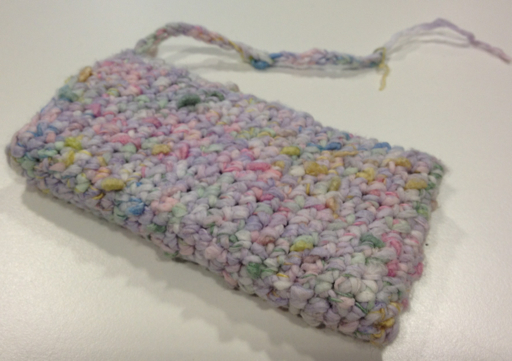 Then I got inspired from a co-worker to make a sleeve for my iPhone. The yarn has double threads, both a neutral and one that changes color. And it was a perfect match, it did exactly cover my phone + a short string to tie with.